Client Spotlight: Bitterman Salt Co.
Bitterman Salt Co. is committed to delivering the full flavor of the sea, bursting in every bite. They believe salt is a whole food, ‘a union of the ocean’s mineral wealth and skilled human endeavor’. And they even have their own selmelier! What’s a selmelier you might ask? A selmelier is to salt what the sommelier is to wine; providing information and expertise that helps diners and chefs get the best possible results from their food. Best of all, Bitterman Salt Co. powers their food ingredients inventory management with Unleashed. 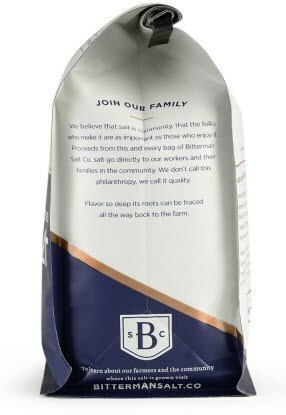 Bitterman Salt Co. manufactures and provides salt to some of the world’s most renowned chefs, bartenders, retailers, and food manufacturers. We’re committed to delivering the full flavor of the sea, bursting in every bite. We believe salt is a whole food, a union of the ocean’s mineral wealth and skilled human endeavor. Our mission is to create a world where high quality salt is part of everyday life. We celebrate traditional salt farming. We also honor the highest standards of environmental responsibility in our quest to make the absolutely best salt available to everyone. Our salts are profoundly rooted in the diverse culinary traditions of the artisans that make them. Our salt is the ultimate quality, sustainable, local ingredient. You can find our salts as ingredients of at-home cooks, in celebrated restaurant kitchens, and in gourmet food products like Salt & Straw’s Sea Salt with Caramel Ribbons ice cream. You can find it in charcuterie maker Charlito’s Cocina sausages and salumis. Our line of signature craft salts is available at 140 Sur La Table stores nationwide, as well as at our flagship gourmet food shops The Meadow in Portland, Oregon and New York City. 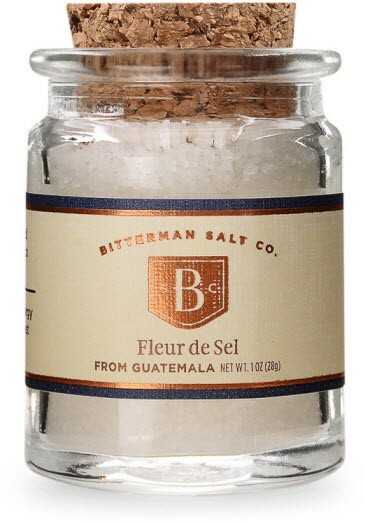 Our favorite product, probably ever, is our new bag of Bitterman’s Fleur de Sel Sea Salt from our salt farm in Guatemala. Table salt, industrially made kosher salt, and even most sea salts are stripped of their trace minerals. We leave our salt as nature made it, the full flavor of the sea bursting in every bite. Pacific seawater filters through a stunning mangrove forest where it evaporates under the hot harvest sun. No factories, no fossil fuels. Just birdsong, breaking waves, and silence. Can you give us a brief history of your ingredients business and the growth it has experienced so far? In 2006, Mark Bitterman, CEO of Bitterman Salt Co., founded his first gourmet food shop in Portland, Oregon out of a shared love of food and ingredients, travel and culture. The Meadow, now with multiple locations in New York City and Portland, specializes in craft finishing salts, artisan chocolate bars, cocktail bitters, and fresh cut flowers. Our shops are perhaps one of the most specialized food shops on the face of the earth, and we’re extremely proud of what we’ve built. We are also extremely lucky to have the best customers in the world! Okay, so back to the story! In 2010, after years of selling salt out of his shop front in Portland, Mark wrote a book titled Salted: A Manifesto on the World’s Most Essential Mineral. This was a culmination of his knowledge, experience and expertise selling salt. This book won a James Beard Award. In the food world is a huge honor and a tremendous recognition. This book was the first of its kind on the subject of salt, with the field notes and history on every type imaginable. (Sel gris, fleur de sel, shio salts from Japan, Hawaiian salts, smoked salts, infused salts, salts from Slovenia and Australia and Brazil!) Needless to say, this really resonated with people – chefs, foodies, restaurateurs, scholars, everyday cooks like you and me. It got them thinking about salt a little differently. The mindset shifted dramatically during this time, and people began to see salt more as a food; something with a story, a place of origin. For his work on salt Mark has been recognized as a Local Food Hero by Cooking Light, and a Tastemaker in Food and Wine. He has also been featured in The New York Times, The Splendid Table, Bizarre Foods, ABC News, CNN and the History Channel, among others. It’s Mark’s success with The Meadow, his unrelenting drive to innovate and create beautiful products and experiences, and his entrepreneurial spirit that has fueled the growth of Bitterman Salt Co. Like many businesses, we’ve changed tremendously over the course of nine years. What started organically as a division of The Meadow’s ingredients wholesale program has now found its legs as an independently thriving, viable salt company. We worked diligently through all of 2015 to define our brand, andresearch and develop our new line of signature salts. We’ve brought our flagship bag of fleur de sel to market. Since launching Bitterman Salt Co. we’ve grown by over 35%! We can’t wait to see what 2016 has in store! We’ve just launched our flagship product – the 2.5-pound bag of Bitterman’s Fleur de Sel. We are a few steps away from bringing this product into national distribution. To accommodate this growth, we just recently moved into a 5000 square foot warehouse. There we can now manufacture and ship out dozens of pallets in one fell swoop! Our corporate offices are also headquartered here. We’re excited to have our entire team together under one big roof! We’re proud of the team we’ve built both at The Meadow and Bitterman Salt Co. Our team of shop guides, creators, innovators, producers, and shippers are truly top-notch. Yes! We’re founding members of The Salt Harvest Foundation, a non-profit that gives back to our salt farmers. It’s simple: proceeds from each and every bag of salt we sell go directly back to the community schools where the salt was harvested. The Salt Harvest Foundation is committed to supporting workers and communities where salt is harvested. Salt farming is an ancient and noble trade. It supports rural communities and protects sensitive ecologies. But traditional ingredients’ farms are vanishing under the assault of industrial giants. Our goal is to de-commoditize salt. We want to empower those who make it to benefit from the true value of their artisanship. In partnership with you, we seek to improve wages, advance child education, and support disadvantaged salt-making communities.